Not an original factory car; do you care? There was lots of discussion over Festival of Speed weekend about what really gets motorsport fans going, and draws them to such events. Because while the performance of electric vehicles was proven beyond doubt up the Duke of Richmond’s driveway, there’s an argument to say they still struggle to match the spectacle provided by combustion engined cars. If anything, the rise of the EVs makes you realise just how central engines are to our love of the automobile – to look at, to listen to and just to admire. So for this week’s Showpiece, the aim was simple: as emotional as possible, with a powertrain from the annals of great engines. And how much more emotional does it get than a manual, V12 Ferrari racing car? Alright, so it could be one of the mid-engined cars. Or even a Grand Prix competitor. 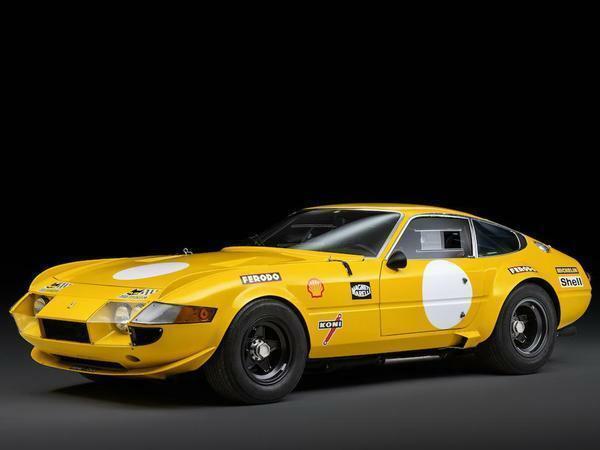 But there’s something about a Daytona, the way it was never conceived as a race car, the way it’s consequently overlooked for the 250s and suchlike and how it was Ferrari’s last front-engined V12 for more than 20 years that makes it rather alluring. Especially when it’s yellow. 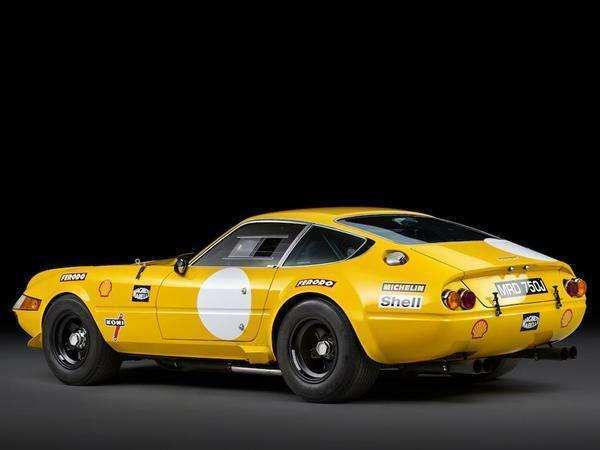 Full disclosure: this is not a 365 GTB/4 Competizione, the 15 factory built cars from the early 70s that achieved considerable success in sportscar racing. 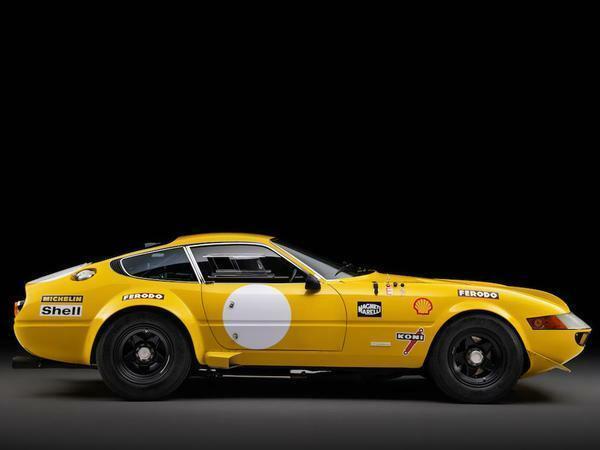 This Daytona, chassis 13971, was a road car built in November 1970. 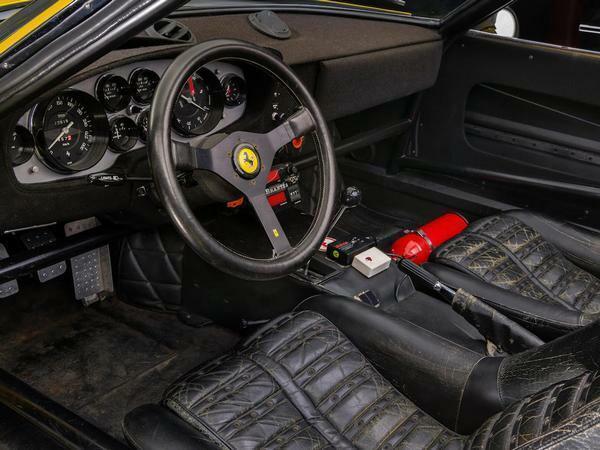 Having passed through five owners during the decade, this Ferraris found its way to a Doctor Aldo Cudone on 18th November 1981. 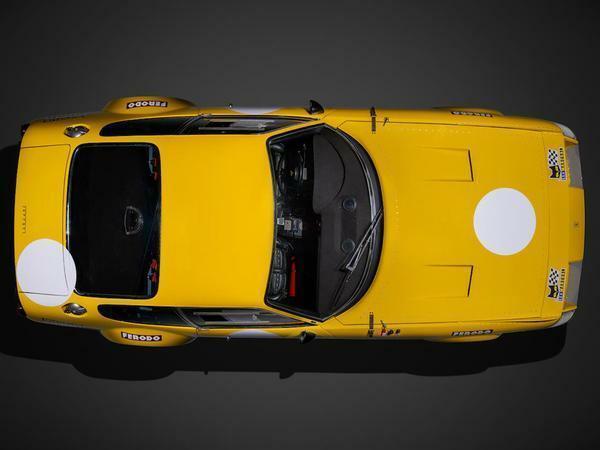 An avid collector and known tinkerer, Cudone asked the then-director of Ferrari’s ‘Assistenza Clienti’, Gaetano Florini, to create him a racing Daytona. As the factory 365s had been competing in Group 4 races until 1979, it wasn’t too difficult to obtain all the specs, and Michelotto – yes, the people behind the 333SP and F40 LM – was commissioned to build it. This is the result. 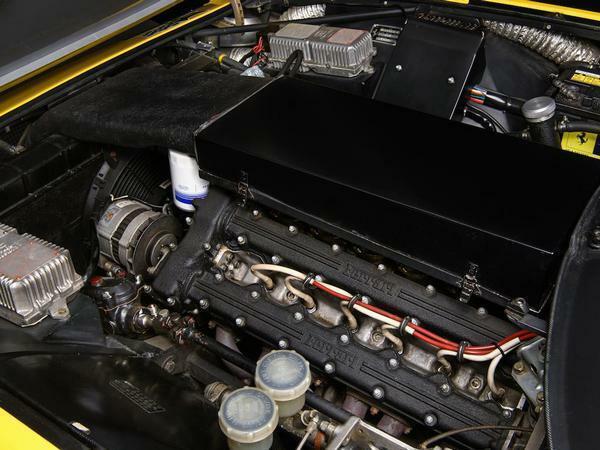 Every single aspect of the 365 was overhauled faithfully to Group 4 spec: the engine is up to 450hp (from 350hp as standard) thanks to a raised compression ratio (11.4:1, from 9.3:1), lighter rods, forged pistons, competition valves, a racier cam and more. The final drive is lower, the windows are plastic, the arches are pumped and the bonnet only opens with straps – late build or not, this is a proper race car. Having been campaigned in Italy through the 80s and 90s, Cudone’s Daytona was sold in 2001 to Mr Grahame Bryant in the UK, where it has resided ever since. 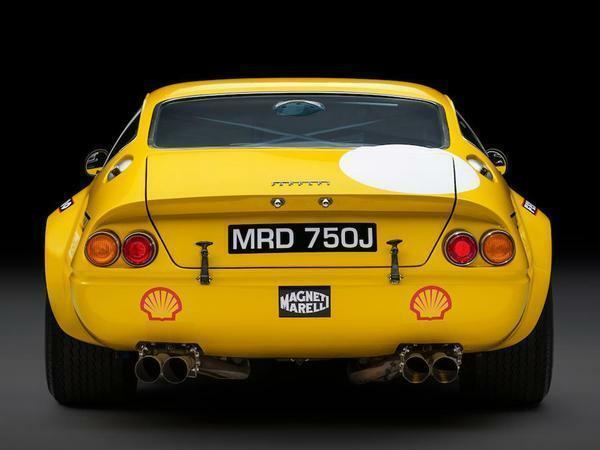 Huge amounts of cash have been spent on it, with the car competing across the globe – Adelaide Classic, Tour Espana, Nurburgring, Abu Dhabi and, er, Brands Hatch. 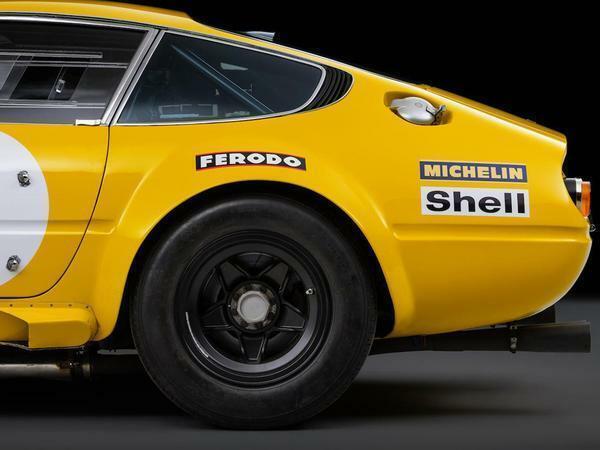 As such it’s been kept in fine racing fettle, the car’s FIA Historic Technical Passport valid until 2026 and history file said to be crammed with homologation papers, race results and Italian documentation. It’s even – perhaps best of all – entirely road legal, with 12 months MOT. At the best part of a million pounds, this is not a bargain basement route into historic motorsport. No Ferrari is ever going to be, of course, with this car’s value surely assisted by the rise in roadgoing Daytona prices. If anything it looks quite good value compared to those, though, because a ‘regular’ £700k Daytona isn’t going to be much kop on a race track. And, er, none of them have cool stickers on.